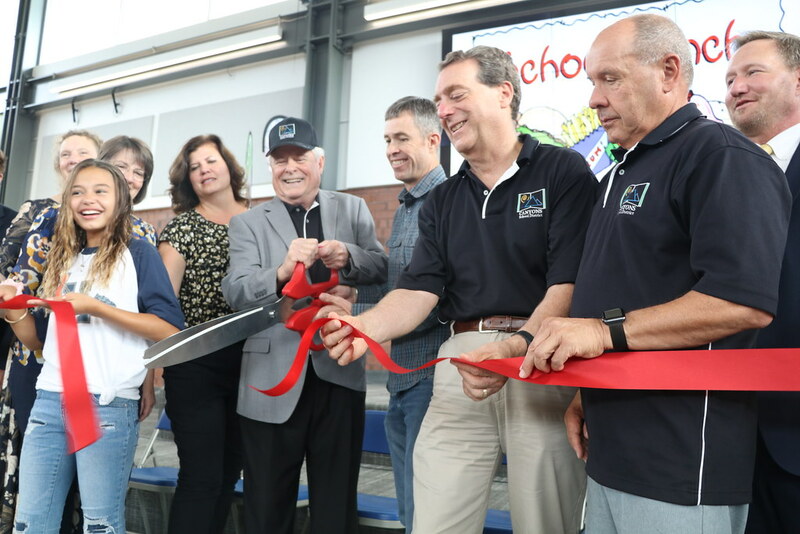 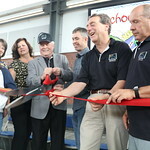 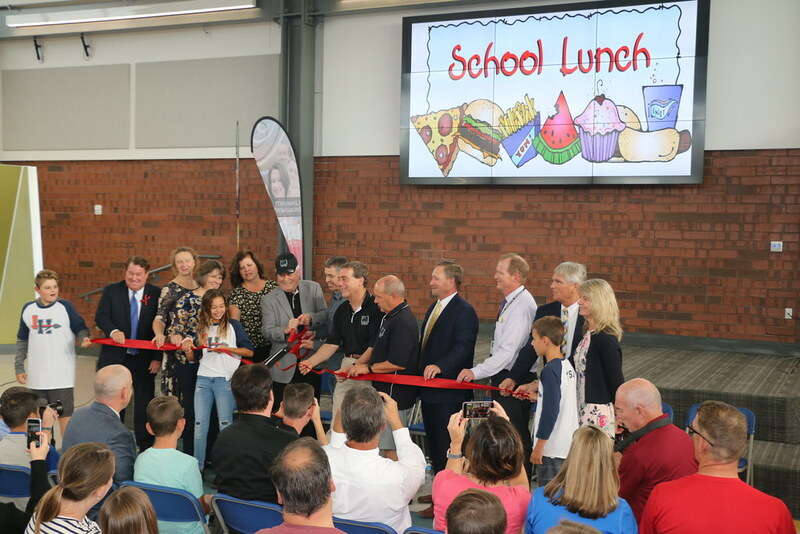 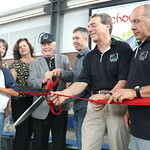 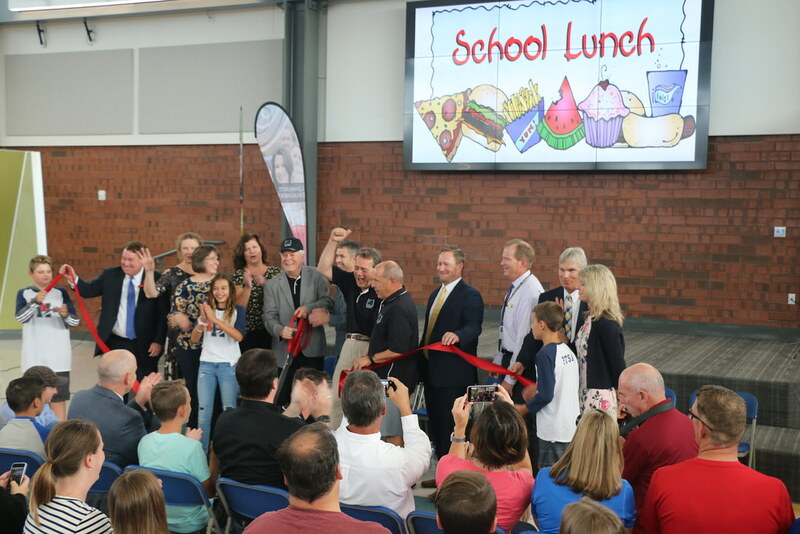 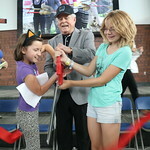 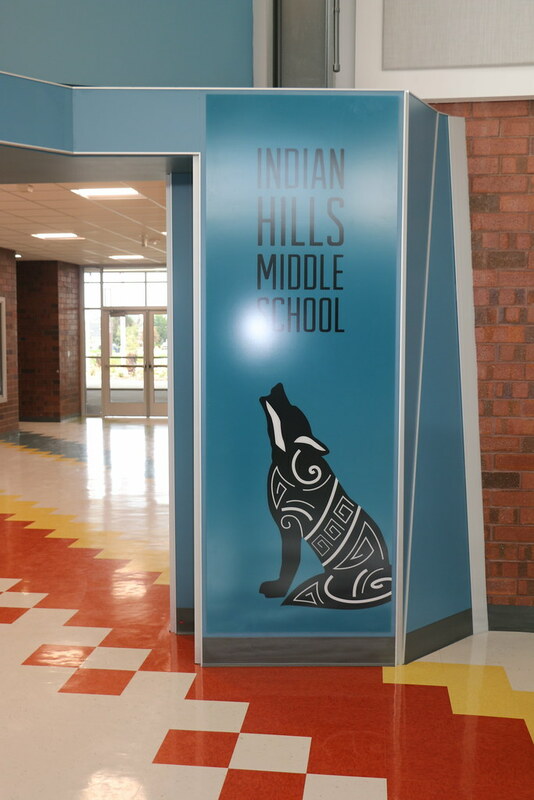 Enthusiastic Indian Hills Middle students cut short their summers to take part in the grand opening of their newly remodeled campus at a ribbon-cutting ceremony held two days before the start of school. 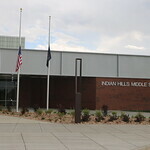 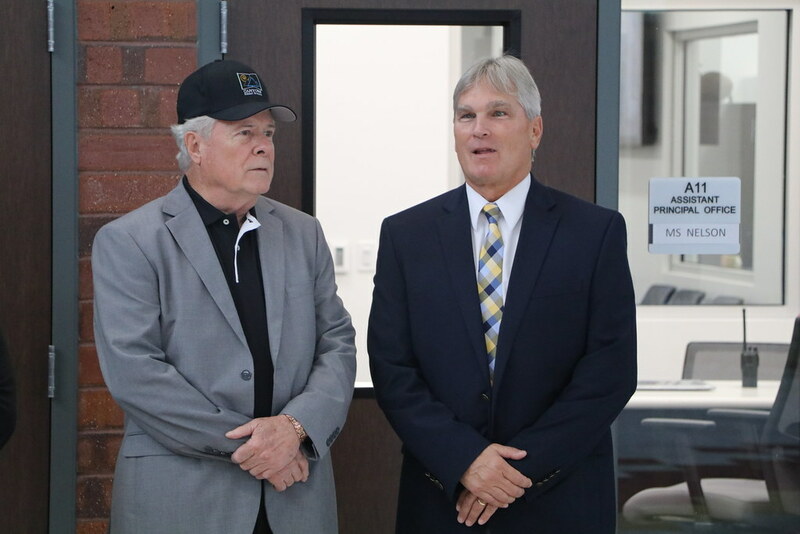 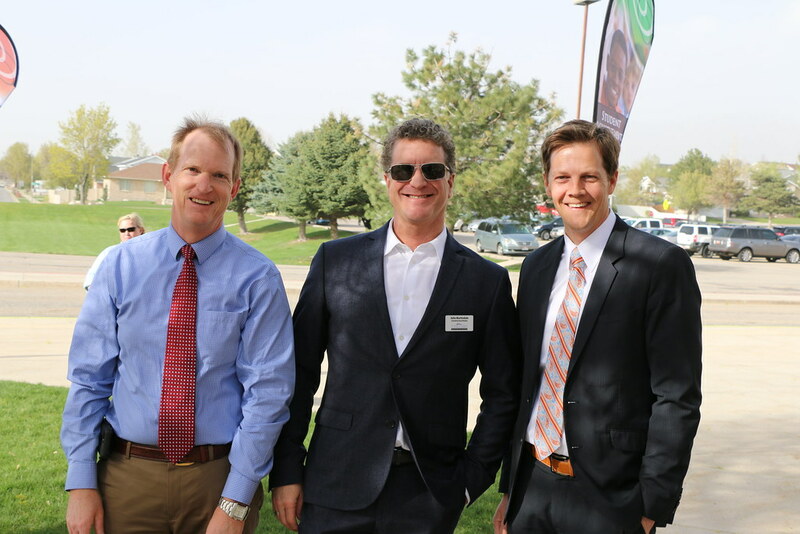 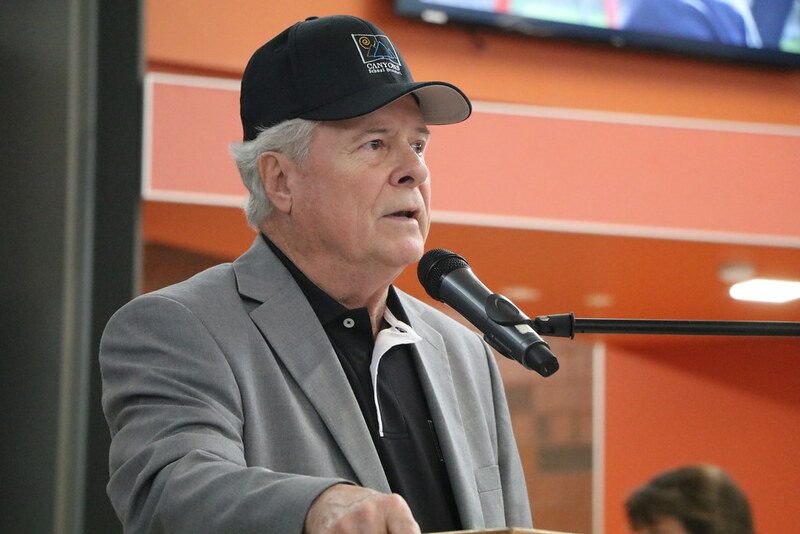 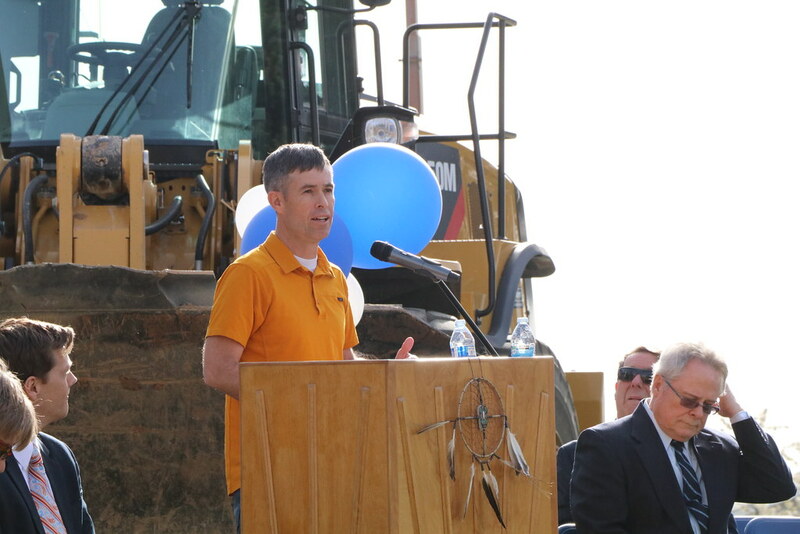 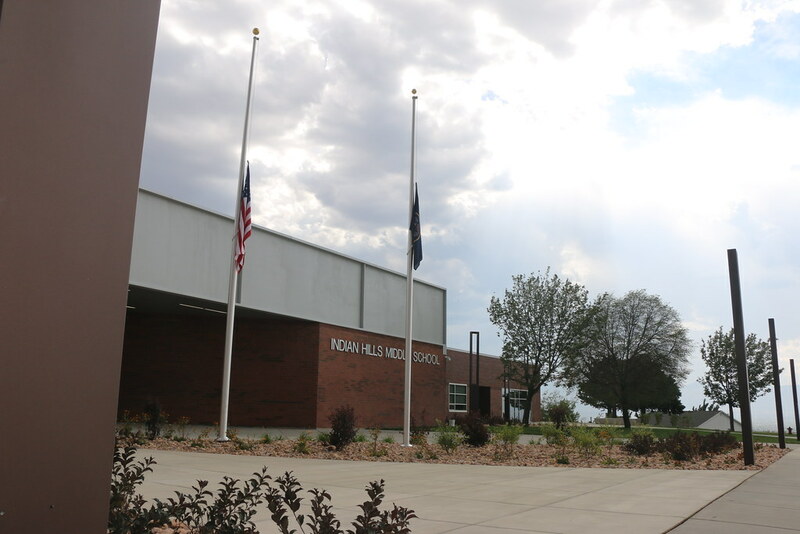 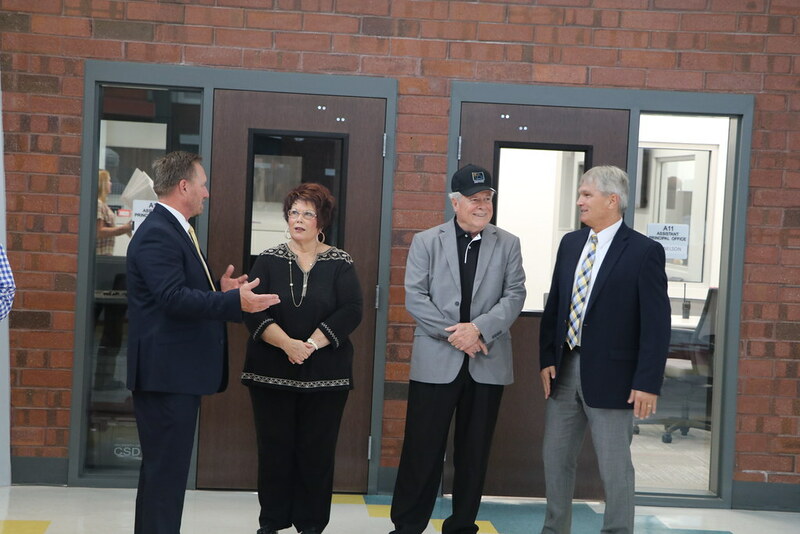 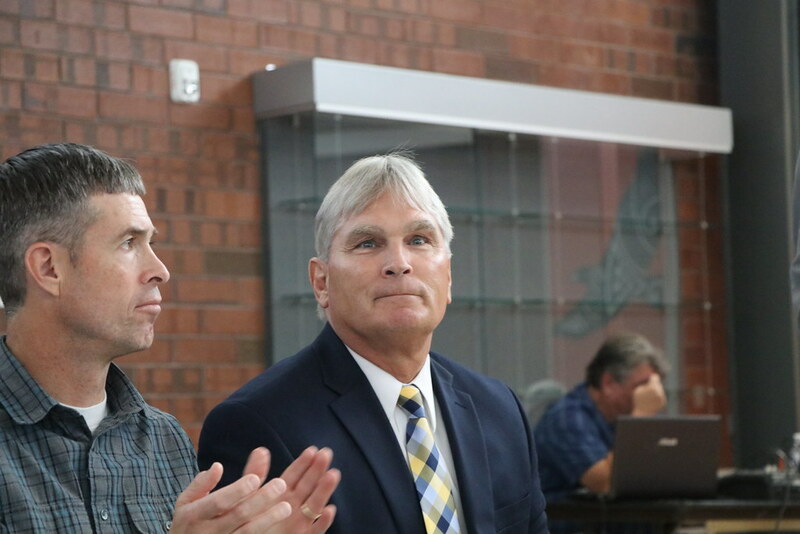 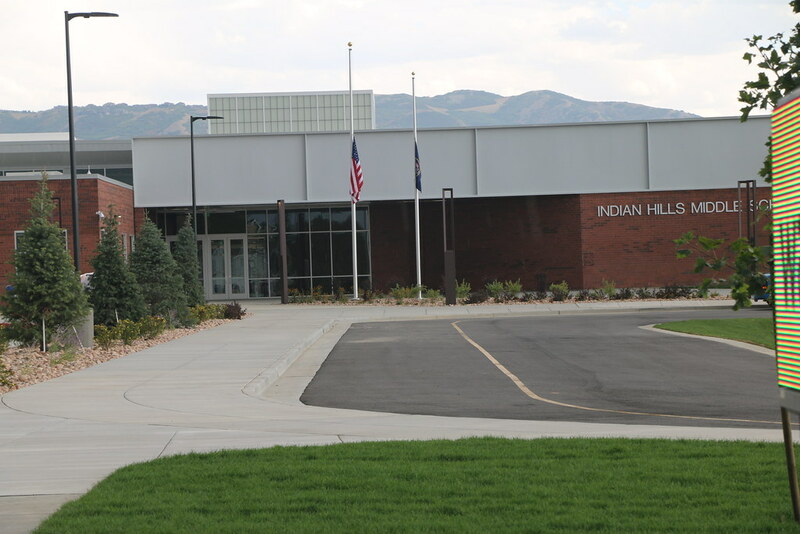 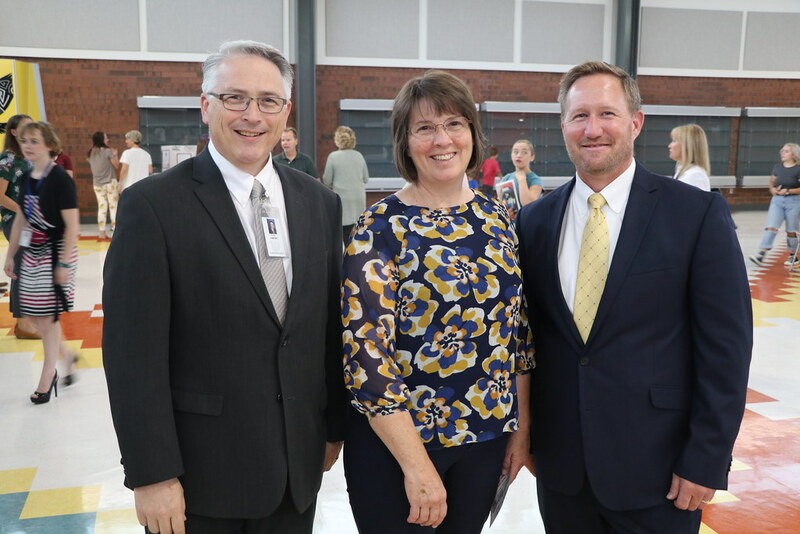 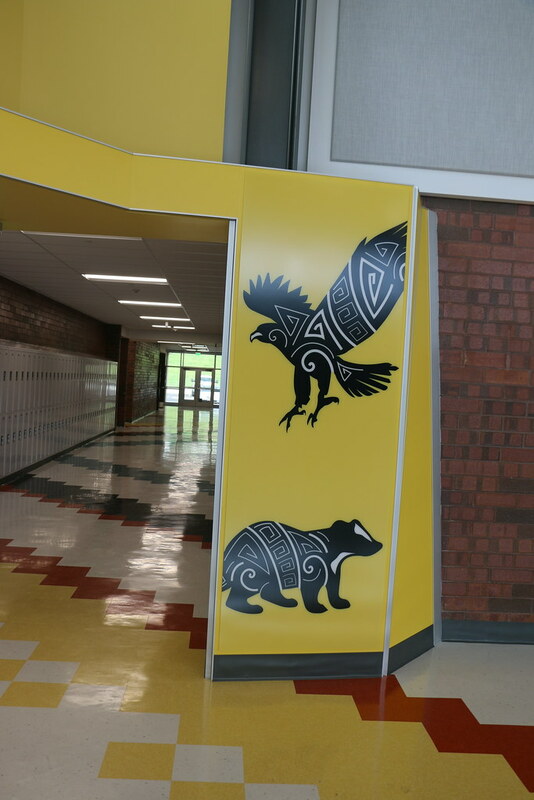 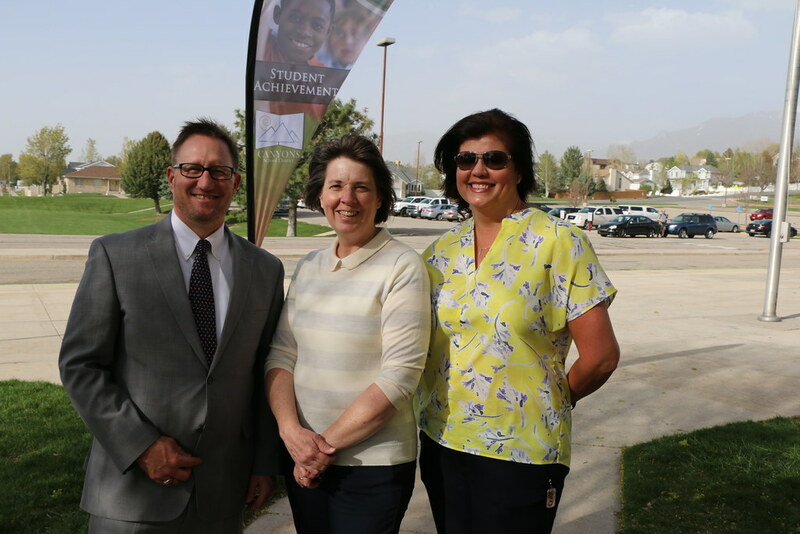 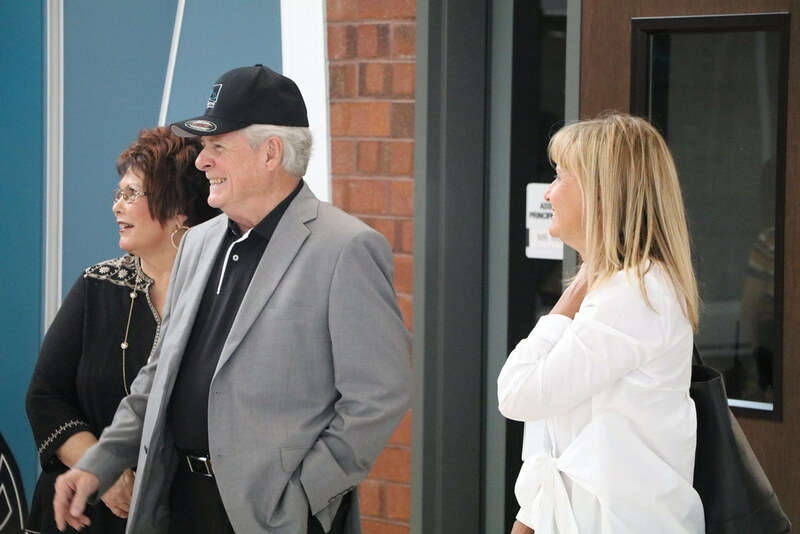 If the Warriors, who spent the past year of construction attending classes at the temporary location of Crescent Middle, were eager to return home, the completion of Indian Hills also marks an important milestone for Canyons School District. 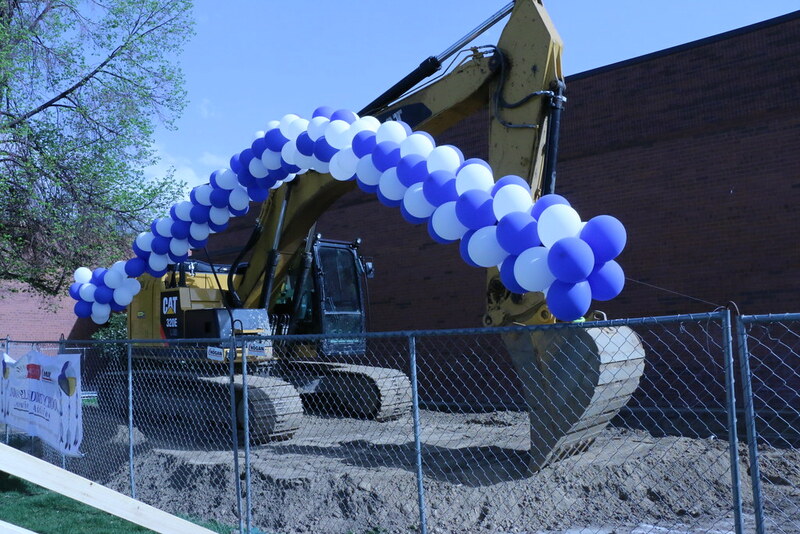 It is the 13th and final major school improvement project financed with proceeds from a $250 million bond approved by voters in 2010. 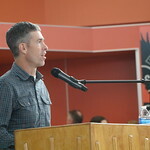 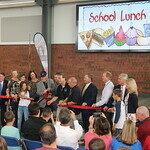 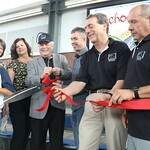 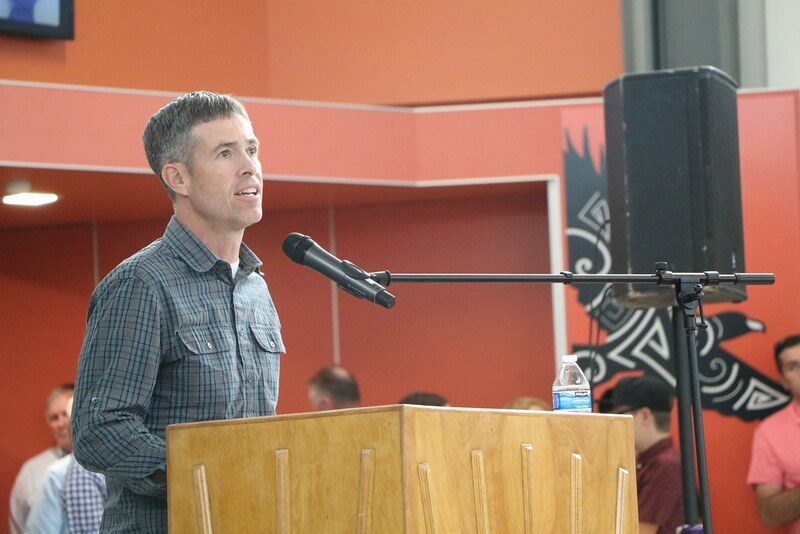 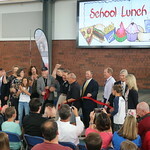 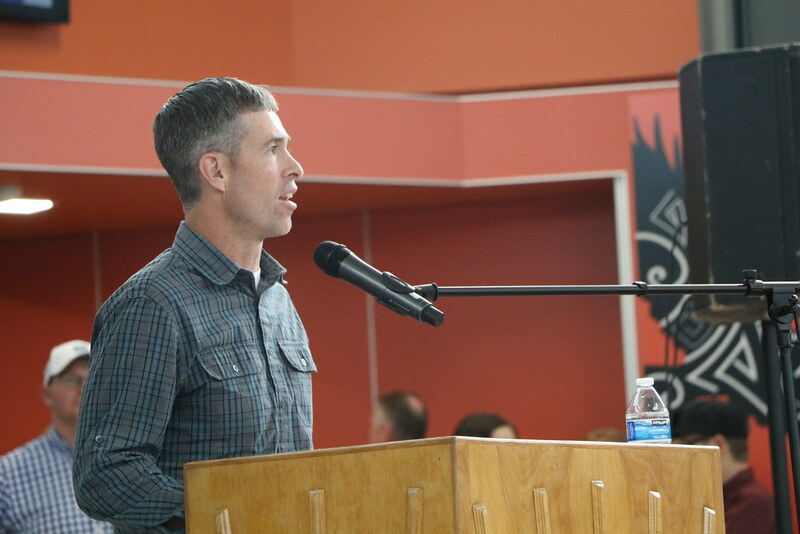 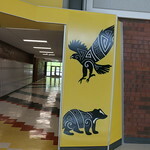 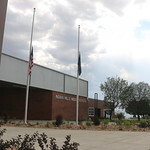 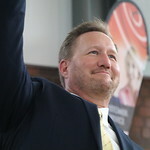 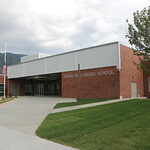 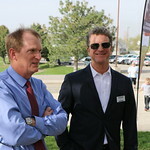 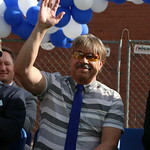 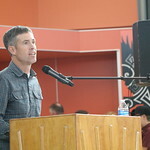 In just eight years, the District has rebuilt Alta View and Midvale elementary schools; renovated Albion Middle; built Corner Canyon High and Draper Park Middle; rebuilt Butler and Midvale middle schools, Butler Elementary and Mount Jordan Middle; brought Sandy Elementary up to seismic code; built additions at Hillcrest and Brighton high schools; and installed air-conditioning and heating systems in all schools—all without raising taxes and while maintaining CSD’s AAA bond rating. 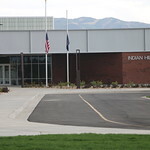 The renovation was extensive. 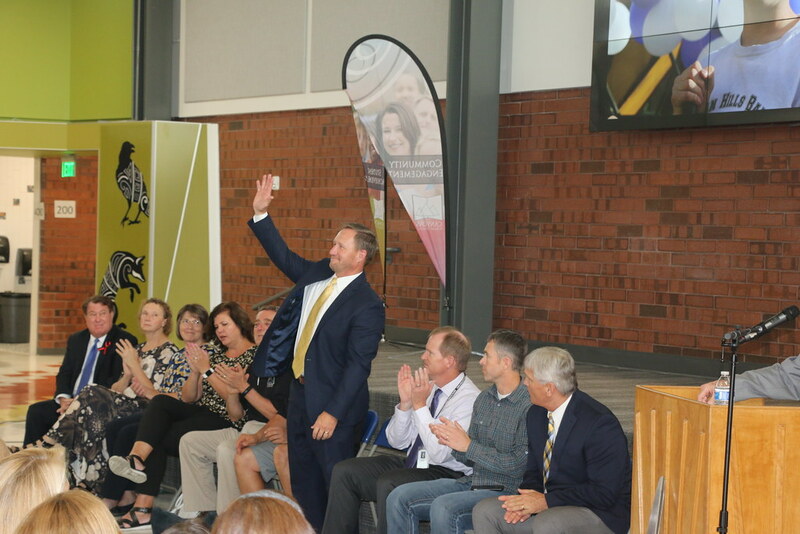 Among the “as-new” upgrades are: an improved entryway with a security vestibule to enhance safety; a new commons area that is full of natural light and offers a view of the mountains; new classrooms, labs and collaboration spaces; and an expanded kitchen and cafeteria. 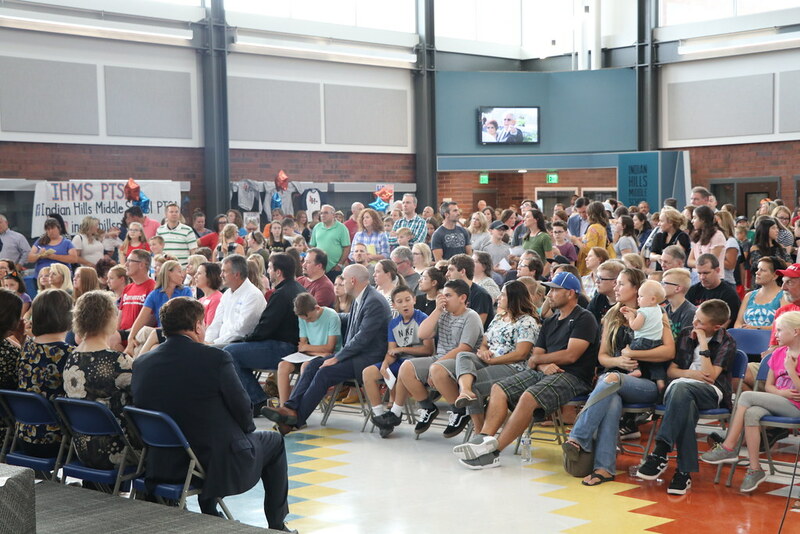 Joining students and families in celebrating the new school were Superintendent Dr. Jim Briscoe, Business Administrator Leon Wilcox, Assistant Superintendent Kathryn McCarrie, Rep. LaVar Christensen, R-Draper, representatives from Sandy City and the PTA, and Canyons Education Foundation Board members Suzanne Harrison, Brad Snow, Aaron Metcalfe, and Bill Rappleye. 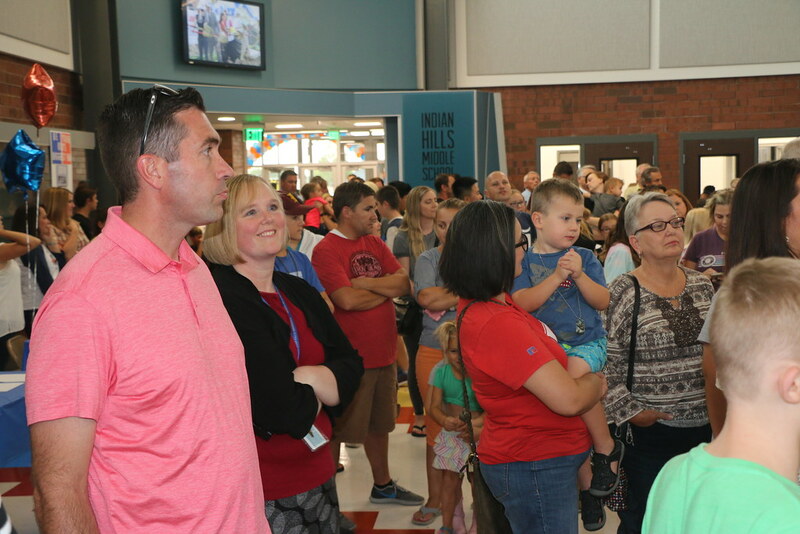 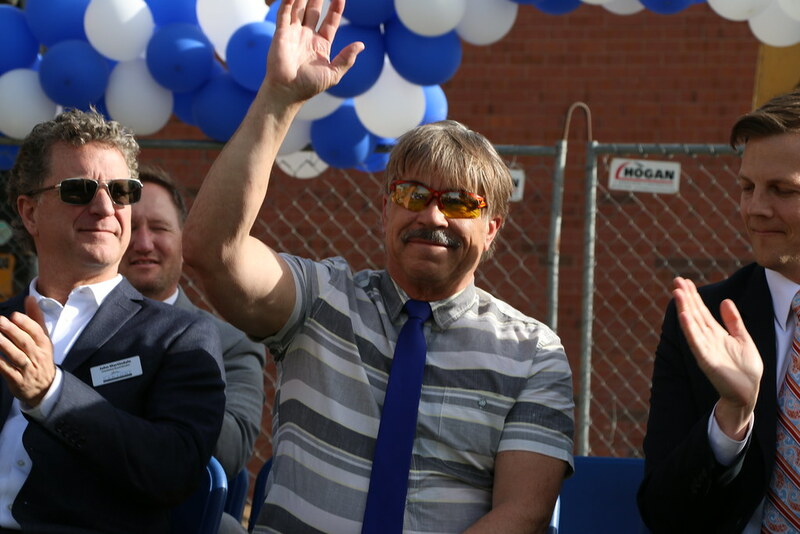 The wind howled and shook the balloons at Indian Hills Middle Thursday as community members gathered to celebrate the beginning of a remodel and addition to the school. 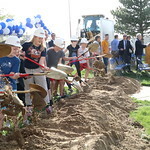 But nothing could sweep away students’ excitement to get the project going. 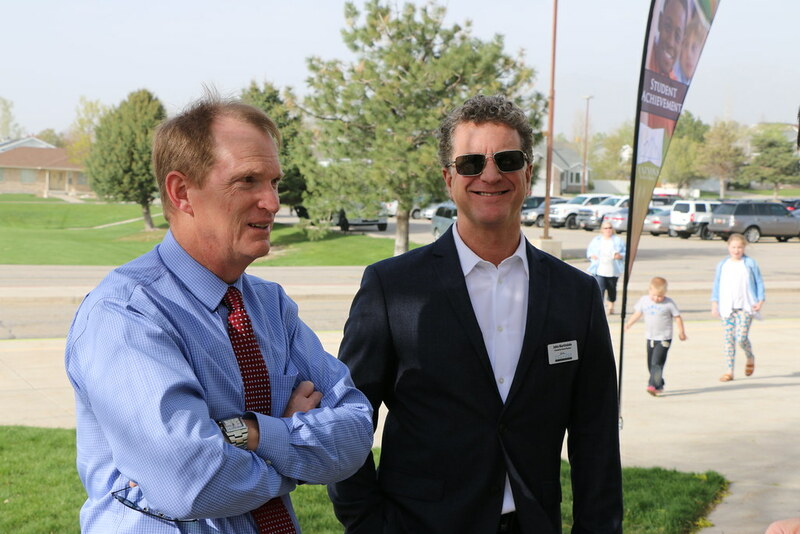 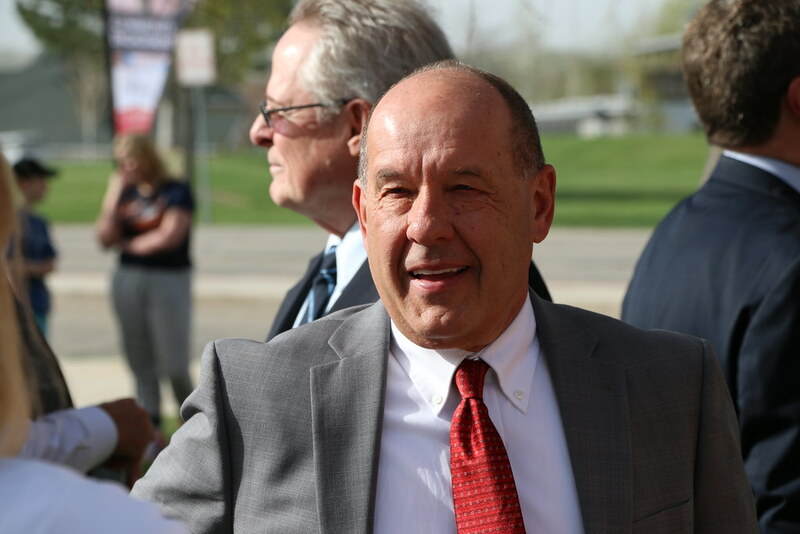 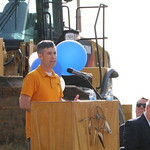 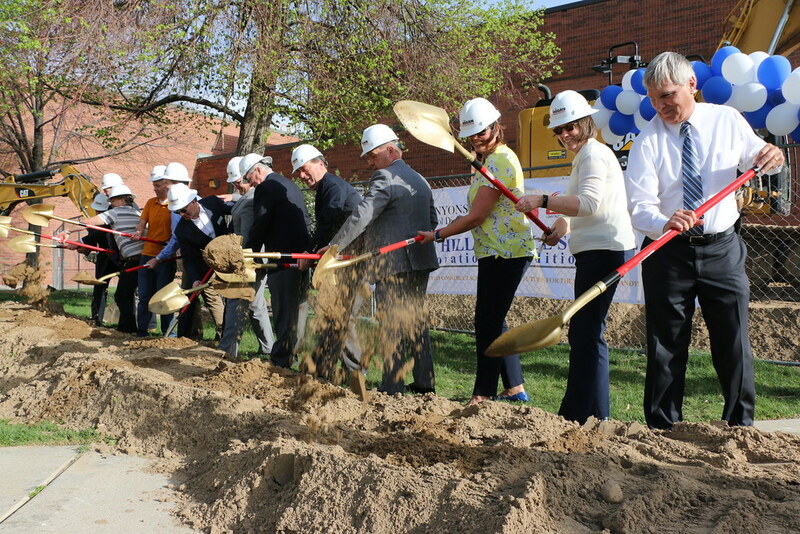 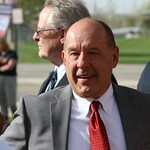 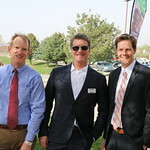 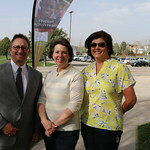 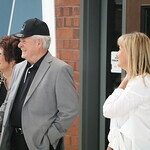 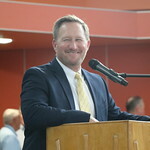 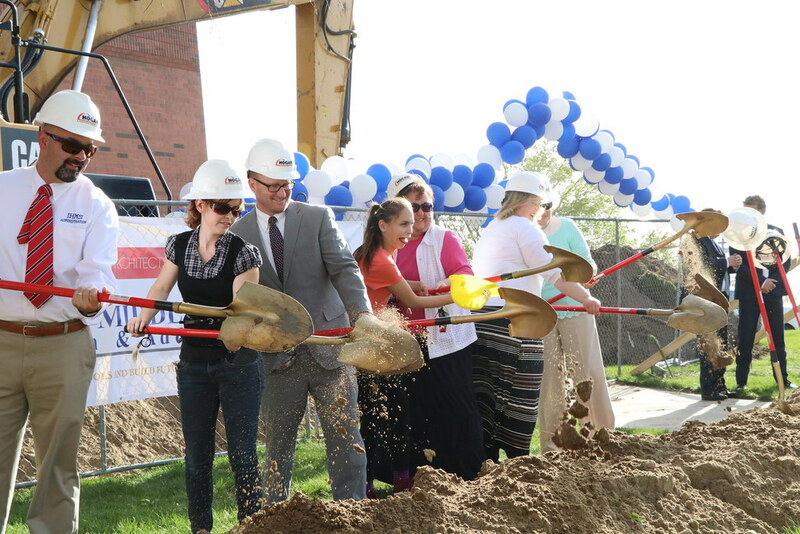 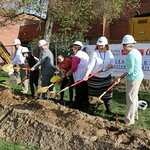 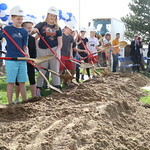 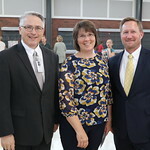 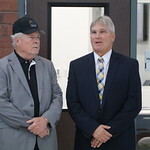 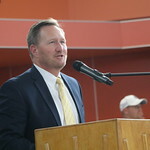 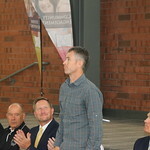 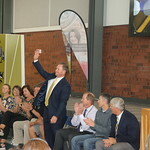 Whoops and cheers accompanied school leaders, administrators, local representatives and members of Canyons’ Board of Education as they ceremoniously turned over a shovel of dirt to mark the beginning of the final project made possible by a $250 million bond approved by voters in 2010. 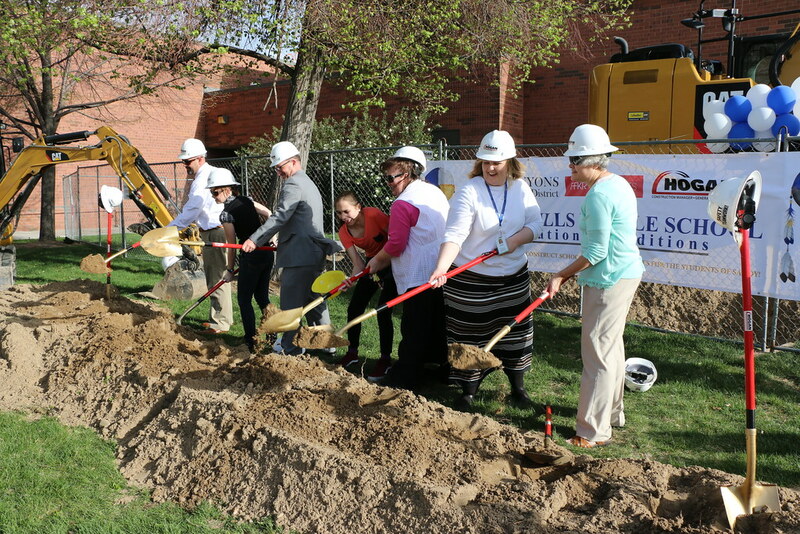 The project is scheduled to be completed for the 2018-2019 school year. 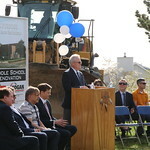 The updated school will feature classrooms and collaboration spaces wired for the high-tech demands of a 21st-century education, it will be reconfigured to be more energy efficient, six new classrooms and a spacious cafeteria and commons area will be added with hallways filled with natural light. 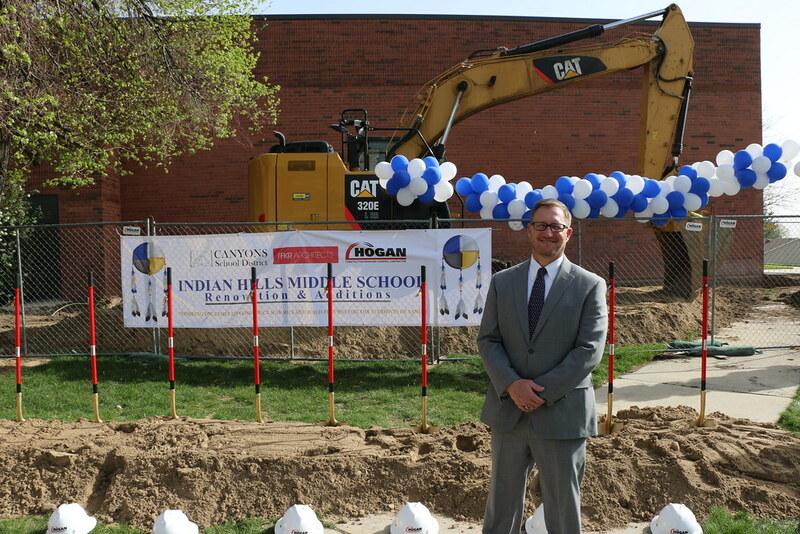 The school will be temporarily moved to the former site of Crescent View Middle while construction takes place. 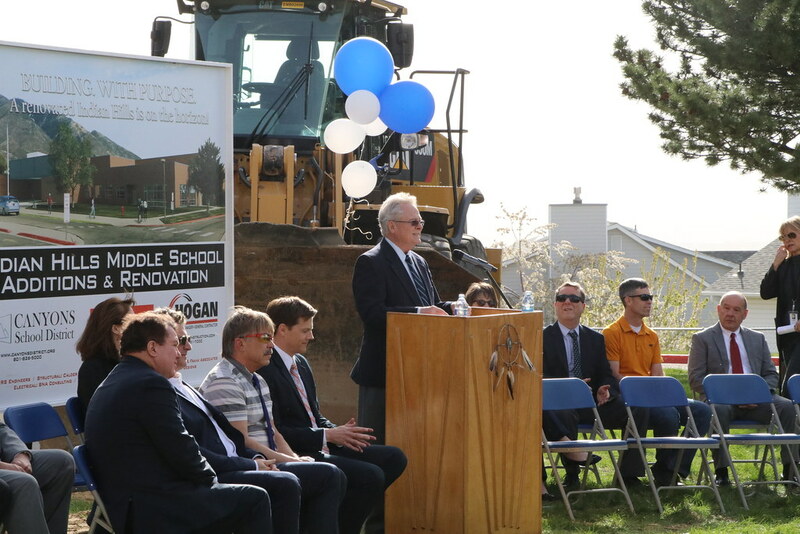 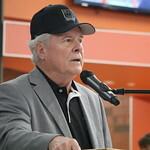 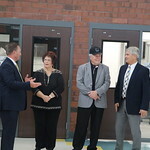 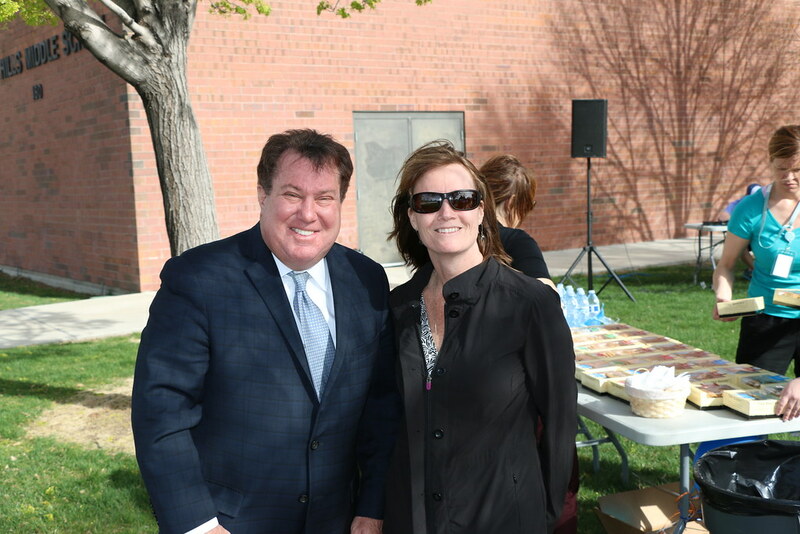 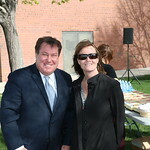 Taylor recognized the attendance of representatives from Hogan Construction and FFKR Architects who will be working on the building, as well as District administrators and Rep. LaVar Christiansen, R-Draper; Utah State Board of Education representative Kathleen Riebe; Region 17 PTA Director Betty Shaw; Sandy Chamber of Commerce CEO and Canyons Education Foundation member Greg Summerhays; Draper City Councilman Bill Rappleye; Canyons Education Foundation President John Martindell; and Sandy Chief Administrative Officer Scott Bond. 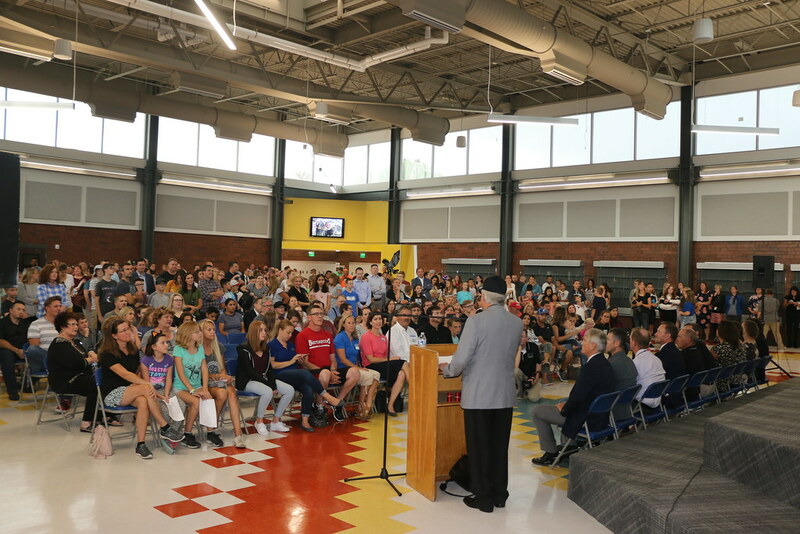 The remodel is the last of 13 projects promised by the Canyons Board of Education with the passage of a $250 million bond. 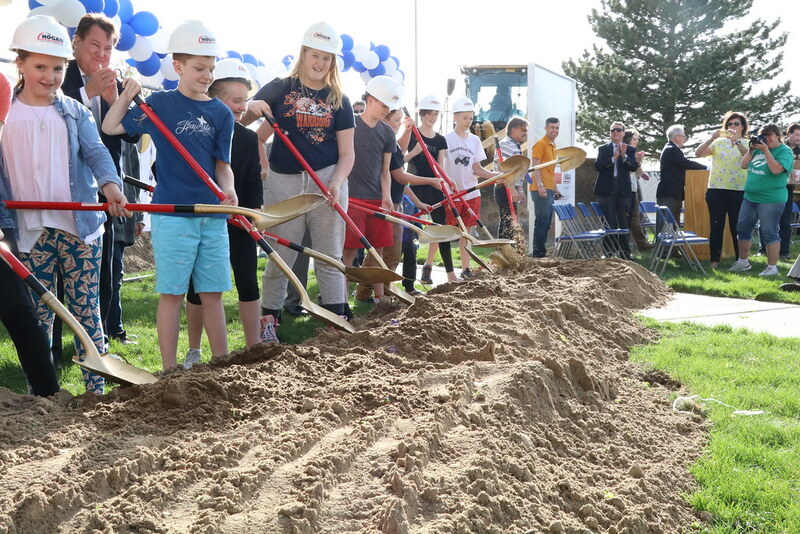 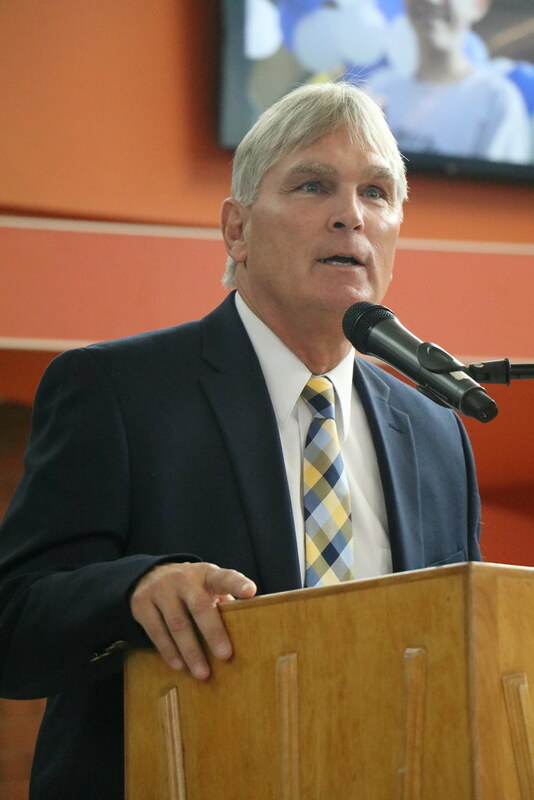 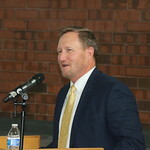 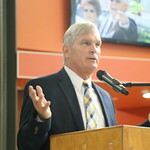 In seven years since the bond was passed, Canyons has built a new Corner Canyon High, rebuilt Midvale Elementary, renovated Albion Middle, added seismic improvements to Sandy Elementary, a new Draper Park Middle, rebuilt Butler Middle, a new Butler Elementary, additions to Brighton and Hillcrest high schools, and rebuilt Mount Jordan Middle. 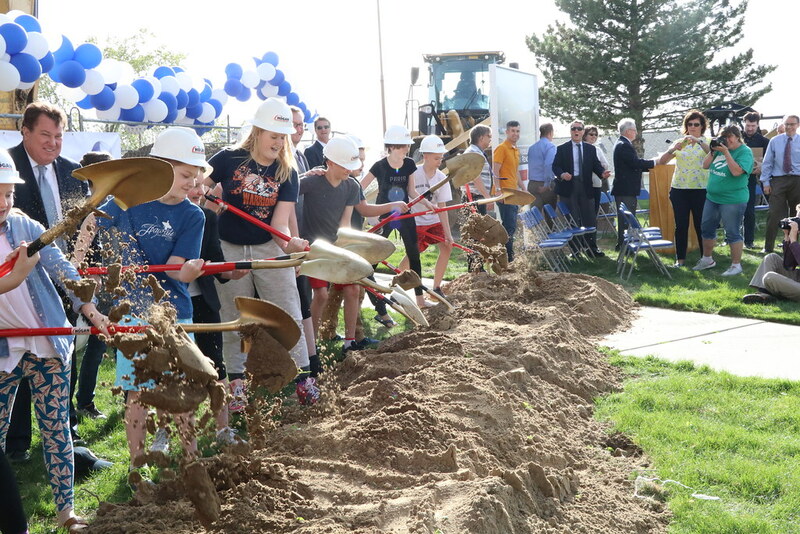 A new Alta View Elementary and Midvale Middle are currently under construction. 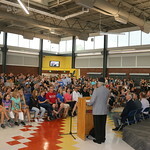 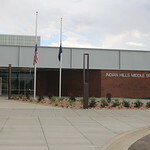 Additionally, the District added air conditioning to every school that did not previously have cooling air; security vestibules at all elementary schools; a soccer field, tennis courts and athletic fields near Brighton high; upgraded Alta High and made other improvements to Canyons facilities. 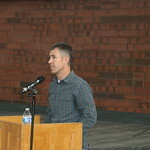 If BJ Cox were to affix a moral to his music teaching skills, it would be that hard work pays off. 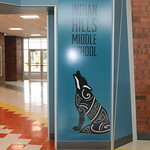 For two years, the Indian Hills music leader and his students have tried out for the State Junior High Band Festival. 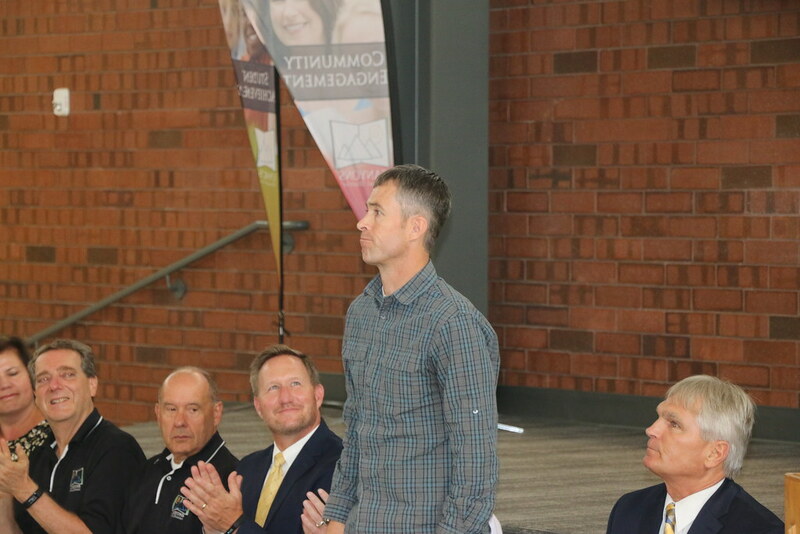 Two years in a row, the band didn’t make it — but Cox and his students didn’t give up. 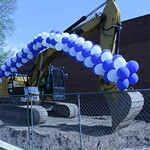 Each time the band wasn’t selected, they improved, little by little. 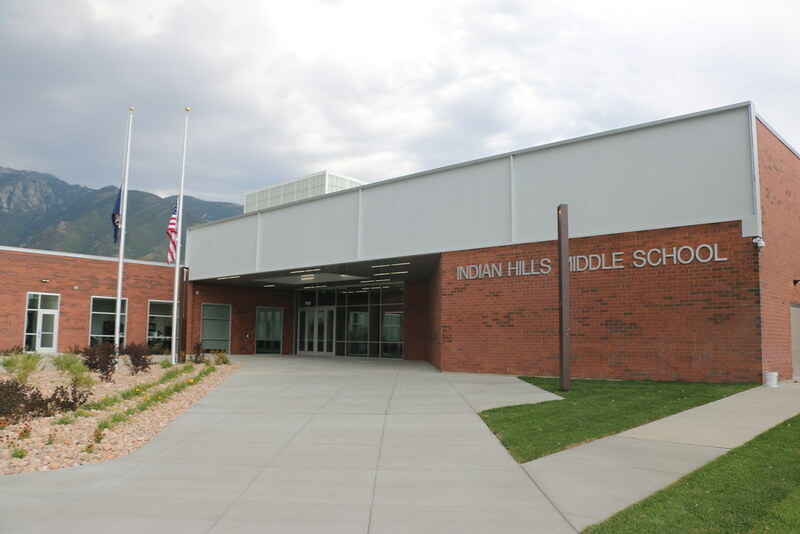 Now, Indian Hills’ concert band has been chosen as one of the top 15 bands to perform at the State Junior High Band Festival on March 17 at the University of Utah. 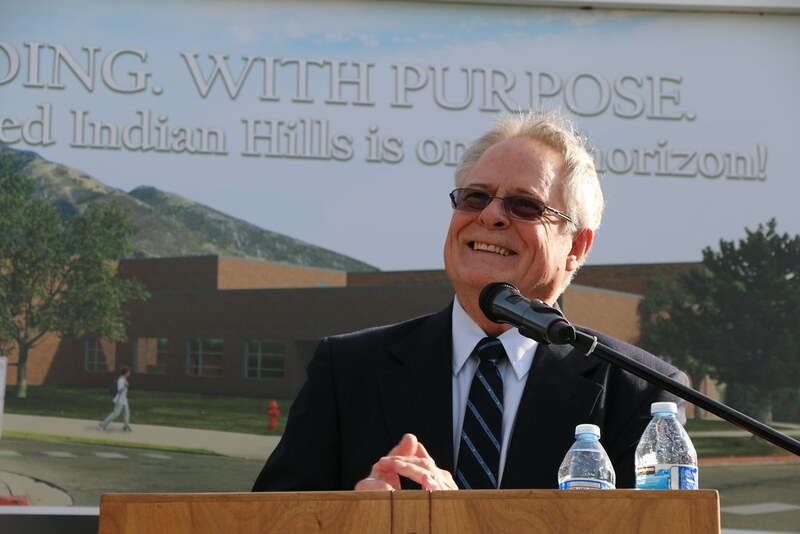 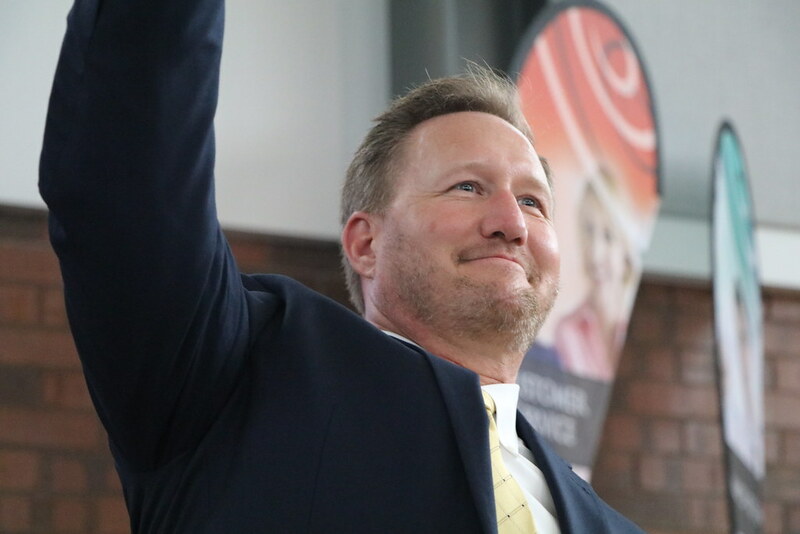 Cox joined Indian Hills four years ago as the school’s music teacher, but his work began even before he set foot in the classroom. 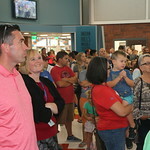 At the beginning of the school year, every year, Cox hosts a barbecue for his students, their families, and anyone else in the community who wants to attend. 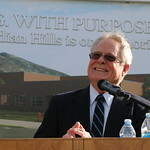 His entire program has 250 people, of which 63 belong to the concert band. 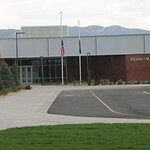 Cox’s concert band auditioned to perform in the Utah Music Educators Association State Junior High Band Festival by playing “Kights of Destiny” for a panel of UMEA judges. 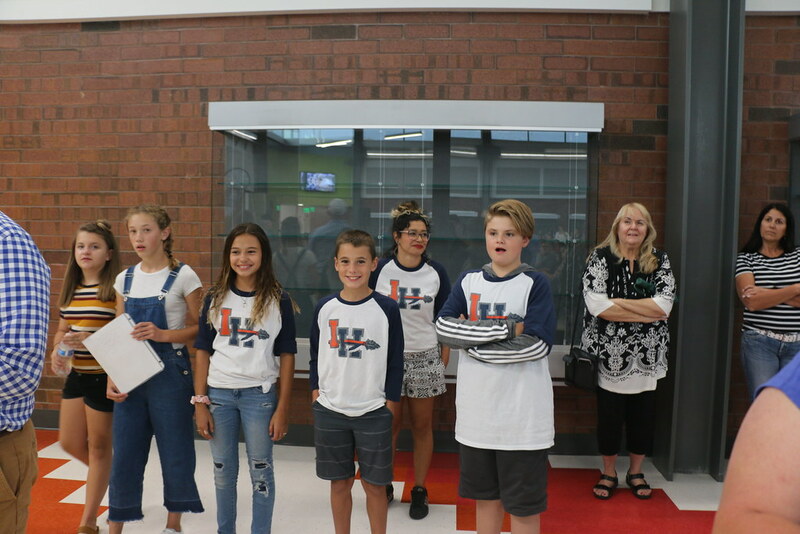 As winners of the top 15 spot, the students will perform at Libby Gardner Hall on the University of Utah Campus on March 17 — and they’ll have some bragging rights as one of the two school districts from the Salt Lake valley to be participating. 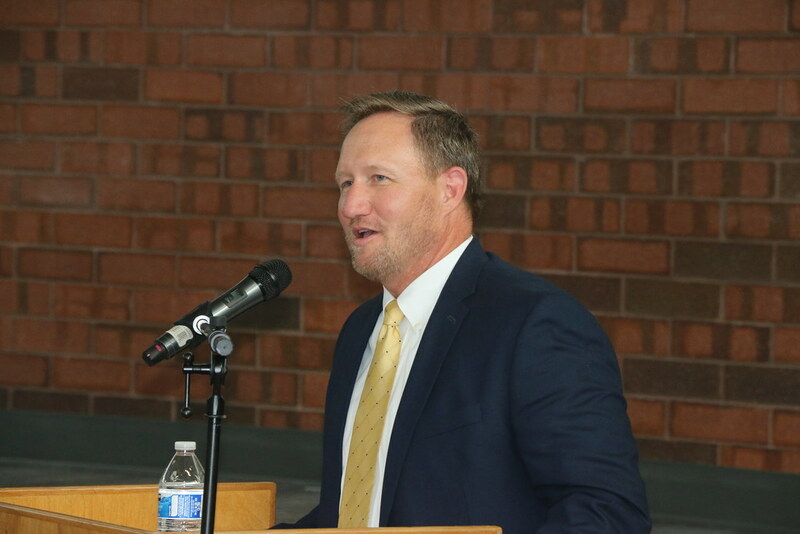 One of the ways Cox has been successful is through his understanding of the power of music for his students. 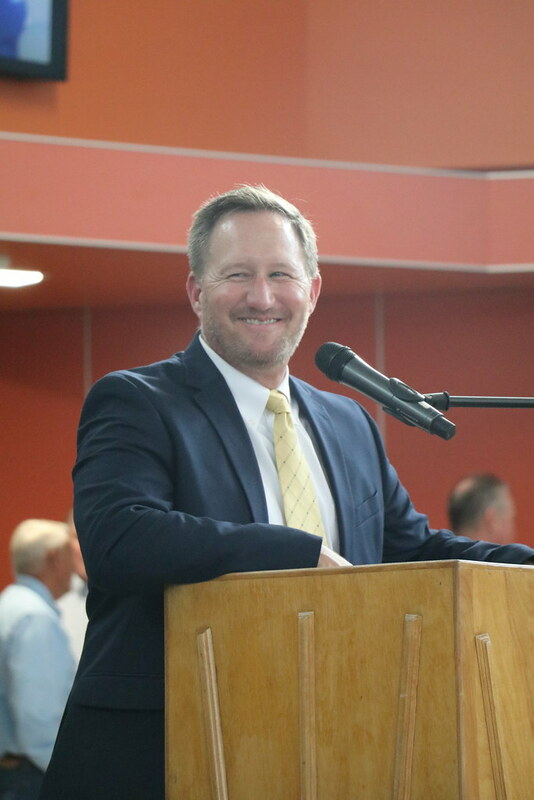 Music helps with brain development, self-confidence, professional experiences and resiliency, he says, so he does all he can to make sure his students receive the best opportunities available. 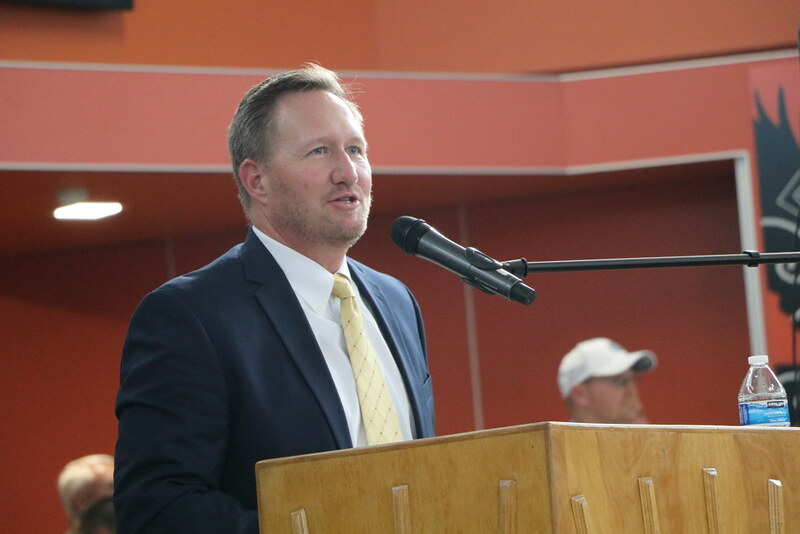 As a music student, Cox made it a point to learn how to master every instrument his students play — from the drums to the piccolo. 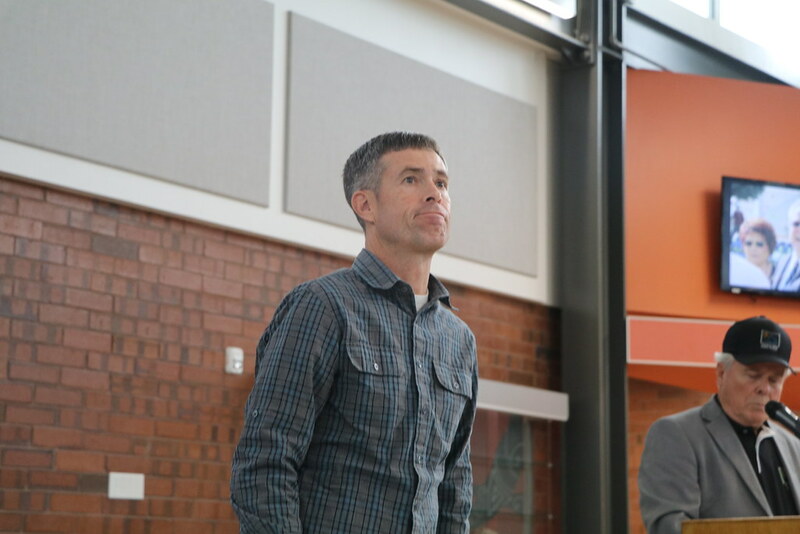 He models the best techniques and sounds for every instrument and expects his students to make measured improvements. 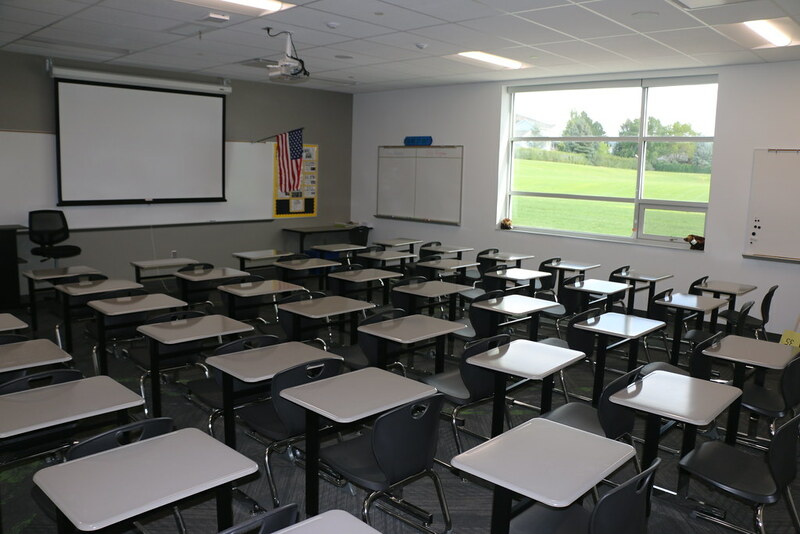 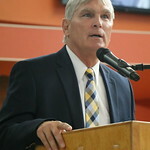 On top of that, Cox arranges for professional musicians to regularly visit his classroom to give his students pointers and special mentoring sessions. 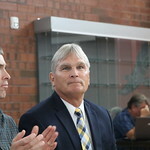 His efforts have not been in vain. 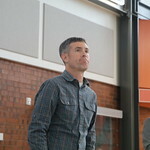 As his students learn, Cox does too. 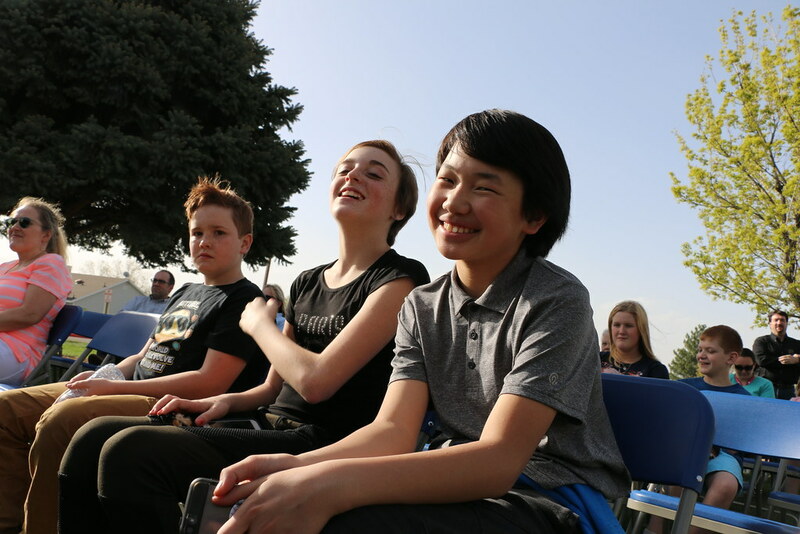 Canyons School District students captured 41 awards at the regional science fair, including Grand Champion winner Alexander Cheng who now advances to the Intel International Science & Engineering Fair in Phoenix. 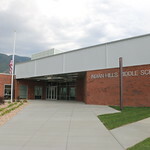 Cheng, a ninth grader at Hillcrest High, also took first place in the Engineering & Computer Science division and earned a special, sponsored award for his winning entry: “Using Machine Learning and Image Segmentation to Analyze Retinal Blood Vessel Densities.” His project is among just six from the Salt Lake Valley to proceed to the international fair. 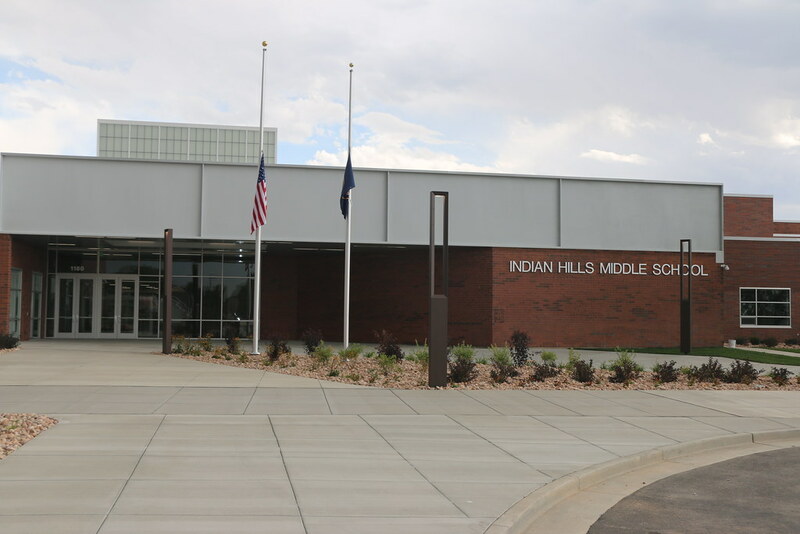 Two CSD middle schoolers — Paige Blair from Indian Hills Middle, and Steele Smith from Draper Park Middle — were named Broadcom Masters finalists, which means they’re invited to compete at the national Broadcom science fair. 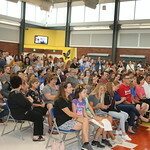 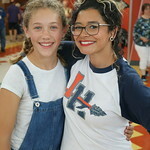 Canyons District students competed against hundreds of their elementary, middle and high school peers from surrounding districts and private schools. 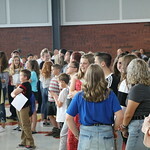 Students in grades 5 through 12 were eligible for half-a-million dollars in scholarships and cash prizes. 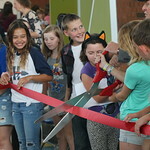 Honorable Mention, Zynnia Beddoes, Sunrise Elementary, "Dexteri-Tee Experiment." 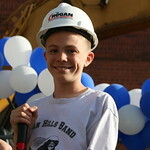 Honorable Mention, Cameron Jessop, Sunrise Elementary, "Got Gas? 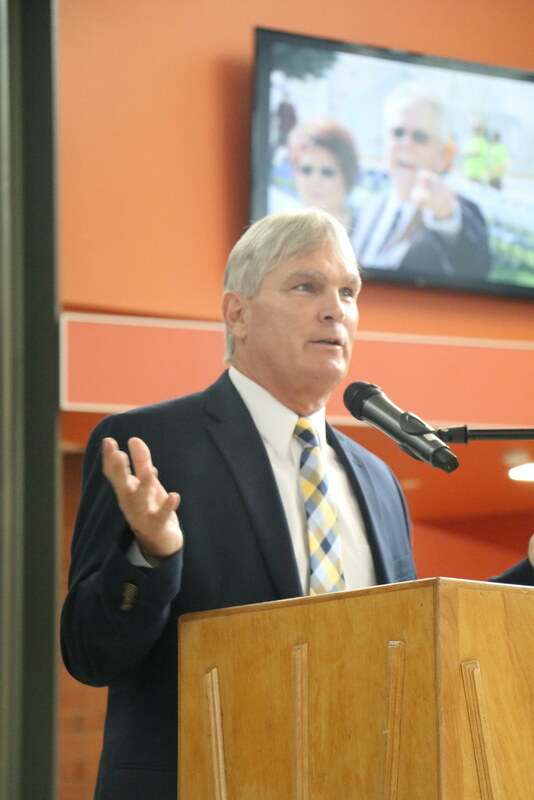 The Glycemic Index and the Production of Methane Gas." 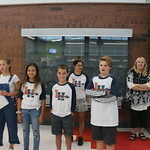 Honorable Mention, Rian Liew, Sunrise Elementary, "Yeast Fermentation." 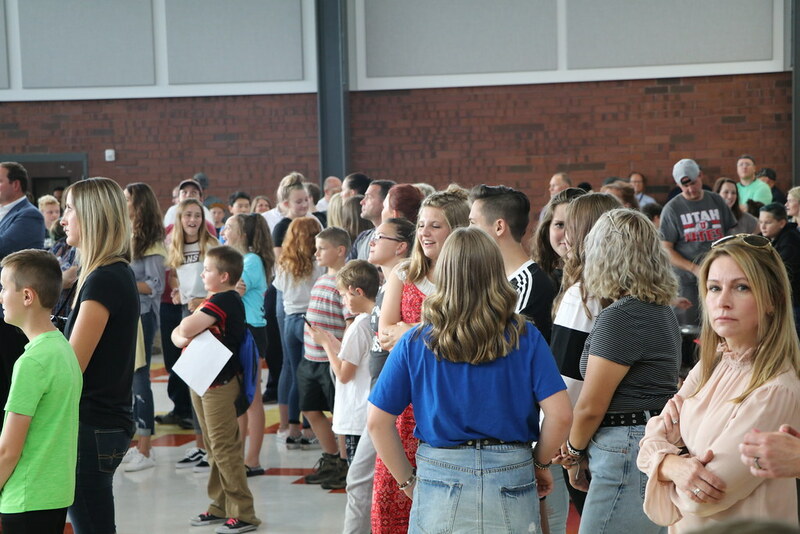 Honorable Mention, Ella Ogden, Albion Middle, "Which Popcorn Pops Best?" 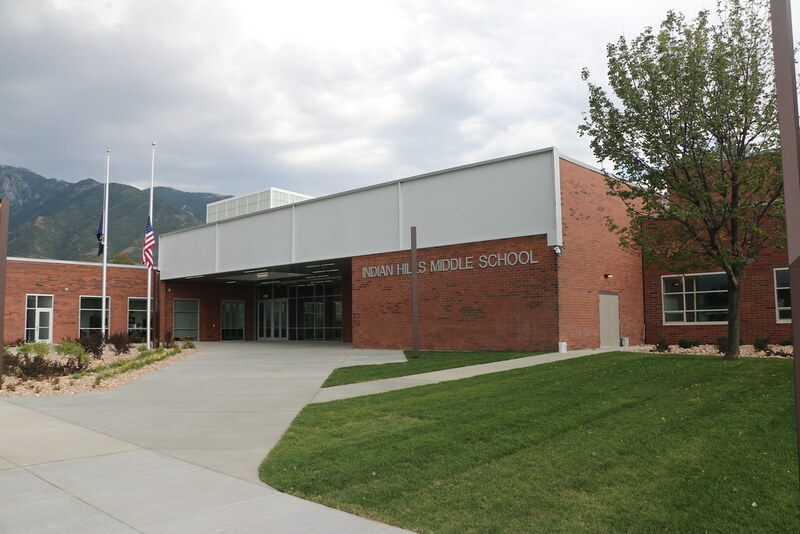 Honorable Mention, Paris Rasmussen, Butler Middle, "Solar Ovens in Different Weather." 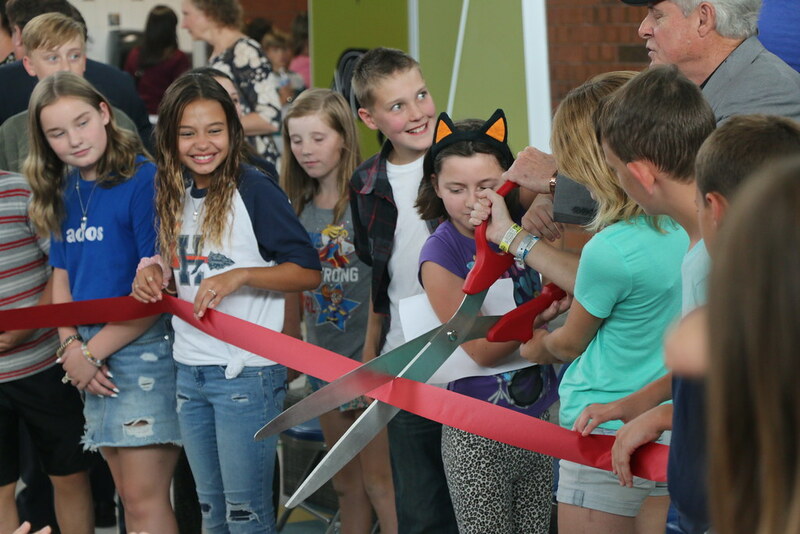 Third, Sadie Cole, Quail Hollow Elementary, "Strength of stitch." 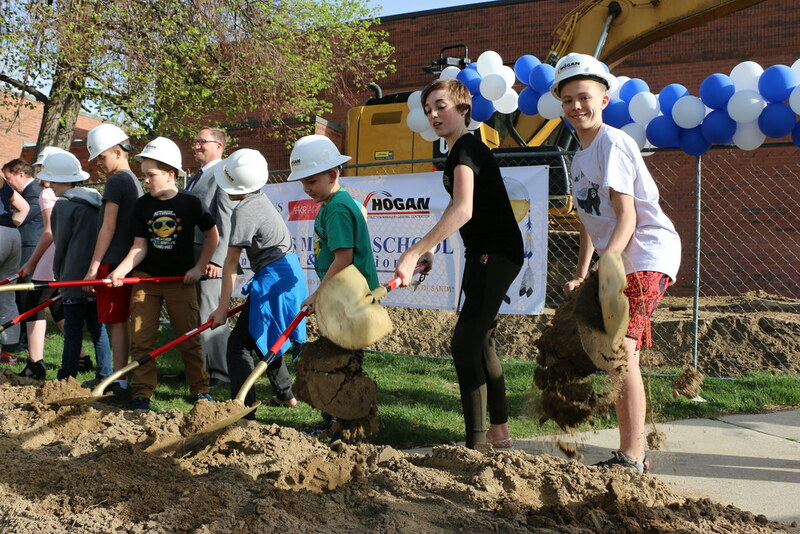 Fourth, Sam Timmerman & Ty Christensen, Oakdale Elementary, "Shake Rattle but NOT Roll." 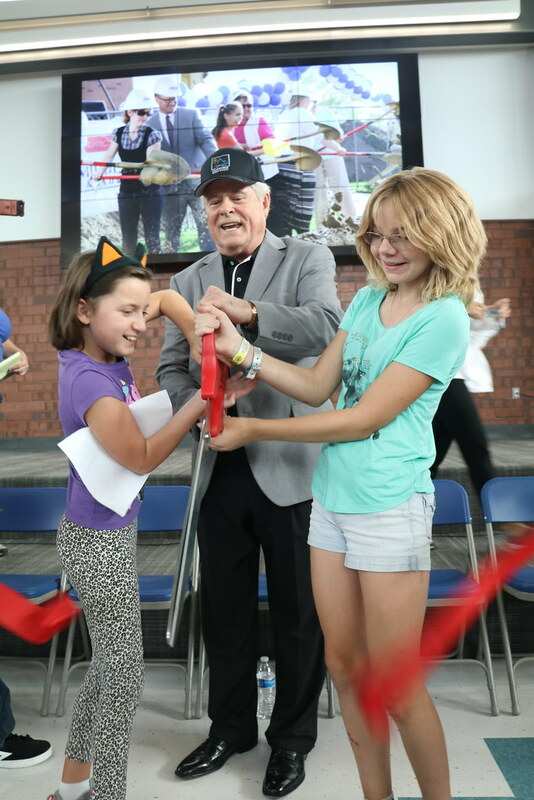 Honorable Mention, Grace Mansouri, Sunrise Elementary, "Do You Hear What I Hear?" 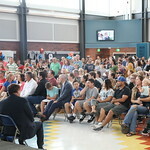 Honorable Mention, Eric Snaufer, Sunrise Elementary, "How Does Temperature Affect Pitch?" 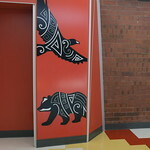 Honorable Mention, Diana Alzerreca, Park Lane Elementary, "Magnetic Force Fields." 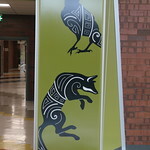 First, Marianne Liu, Sunrise Elementary, "Jalapeno Heat." 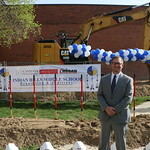 Honorable Mention, Timothy Holt, Sunrise Elementary, "Worms and Plants." 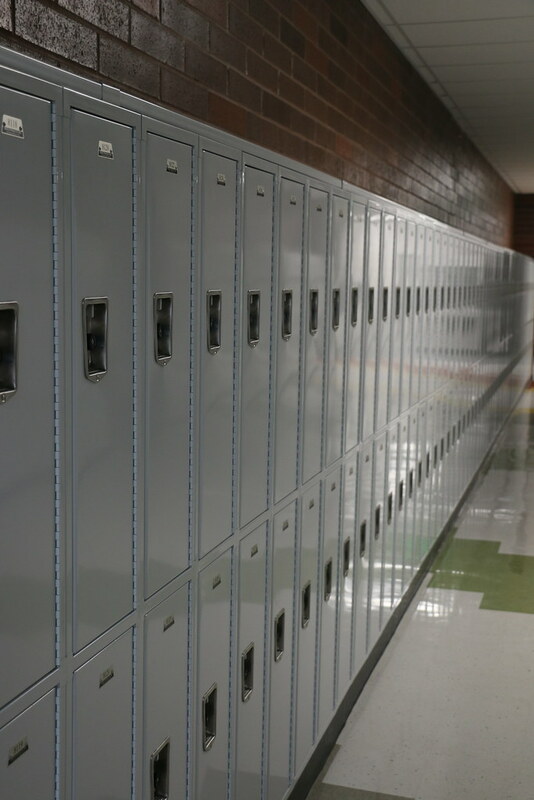 Fourth, Haylie DeMercy, Corner Canyons High, “Tropospheric Ozone Electrochemical Cell. 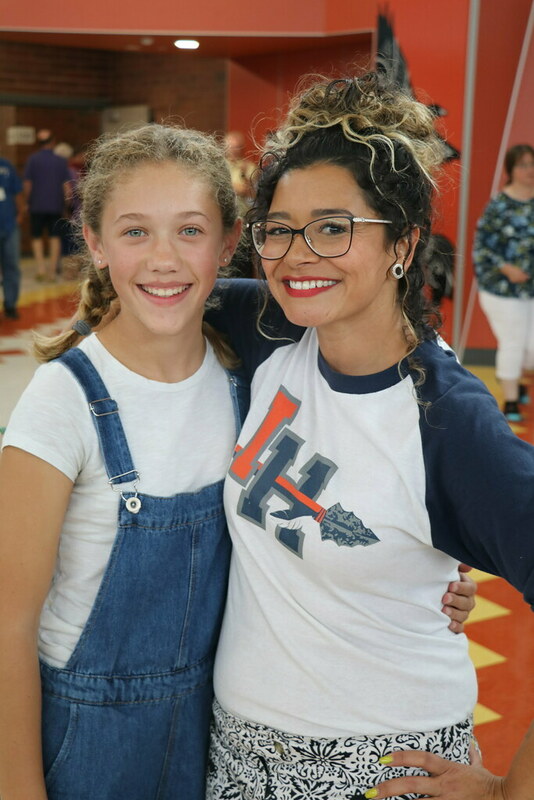 First, Sai Preethika Parsawar, Hillcrest High, "MS of MS with CSF." 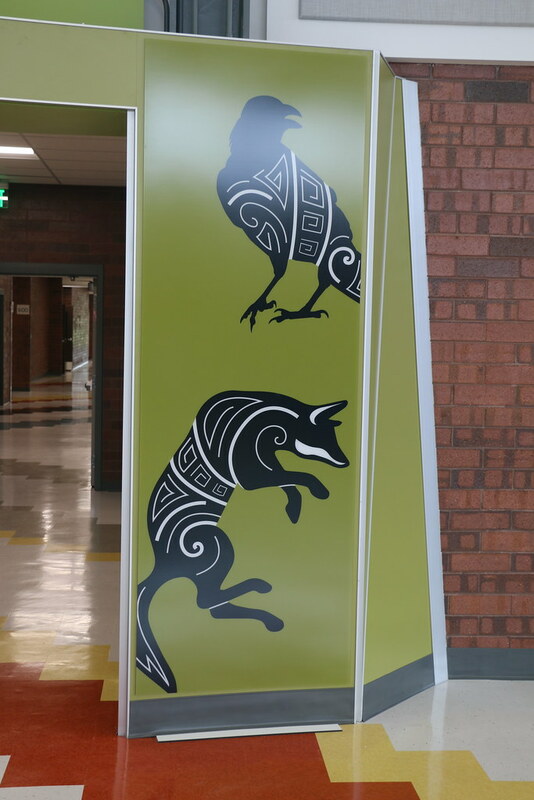 Third, Alexander Sun, Hillcrest High, "Quantitative Measures for Intervertebral Disc Health and Physiology Using Magnetic Resonance Imaging." 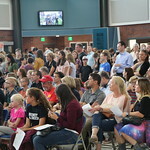 Anya Tiwari, Midvale Middle, "Nanotechnology in Diabetes." 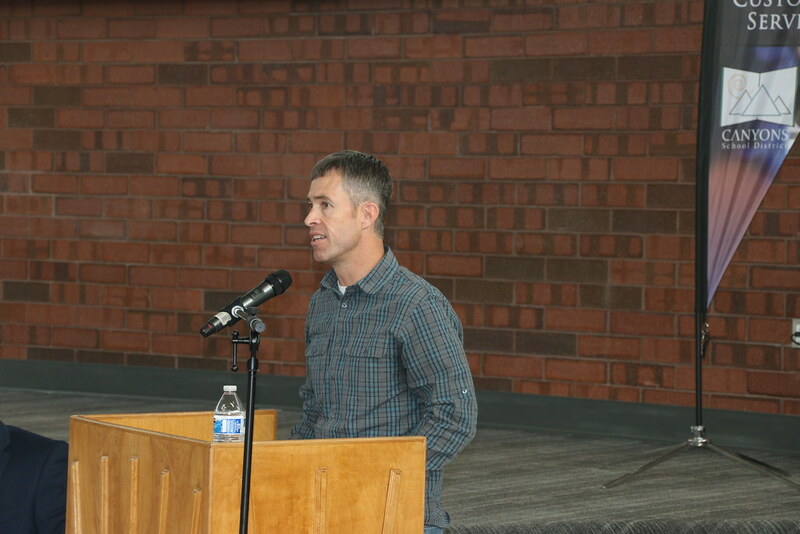 Steele Smith, Draper Park Middle, "Optimizing Velocity from a Magnetic Linear Accelerator." 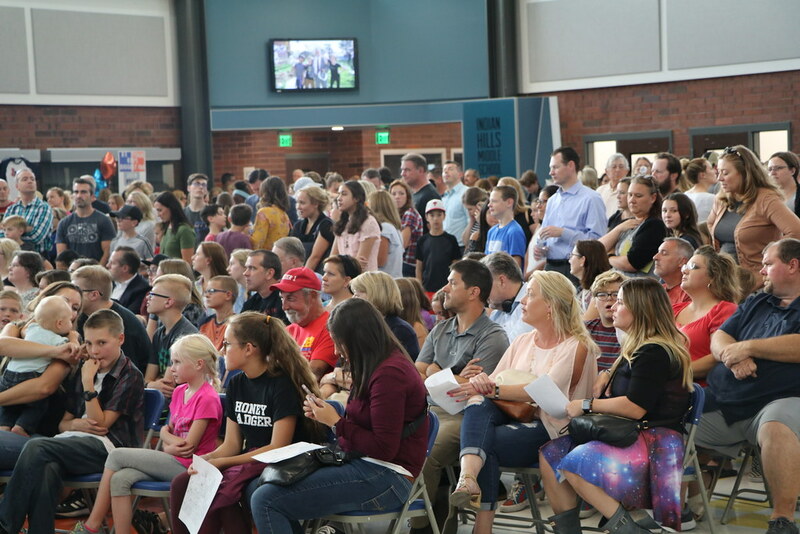 Parents of fifth-graders enrolled in Canyons District's Dual-Language Immersion Programs have been invited to a meeting on Wednesday, Jan. 20 to learn about the transition from elementary school to middle school. 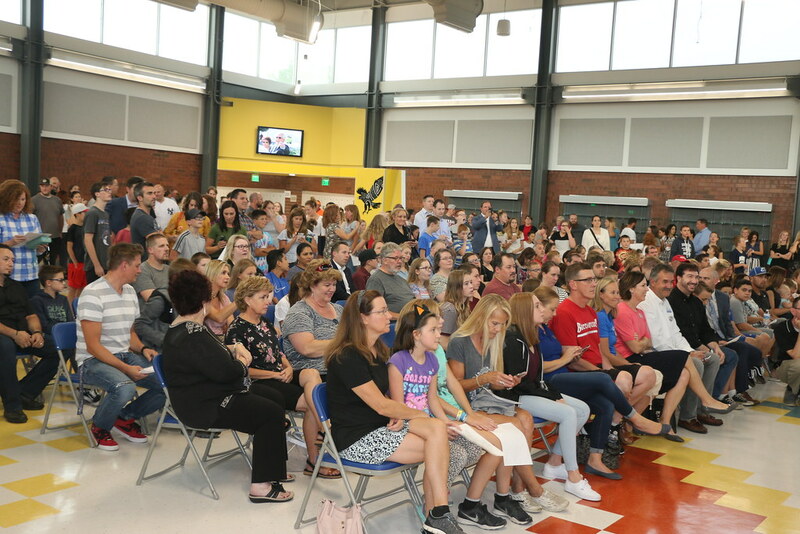 At the 6 p.m. event at Mount Jordan Middle, 9351 S. Mountaineer Lane (300 East), the Canyons curriculum team that oversees the dual-language immersion programs also will share information about DLI instruction in secondary schools. 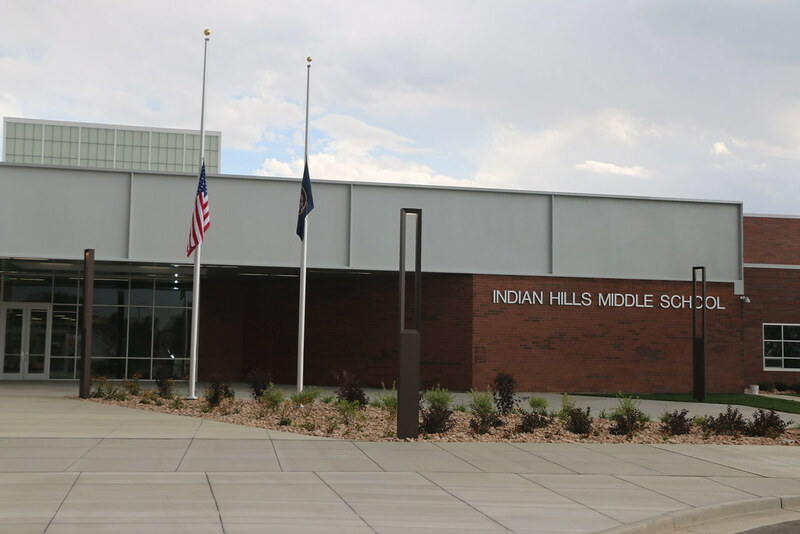 At the middle school level, Spanish programs are being provided at Mount Jordan, Union and Midvale; French classes are being taught at Draper Park and Butler; and Mandarin Chinese is being offered at Draper Park, Butler and Indian Hills. 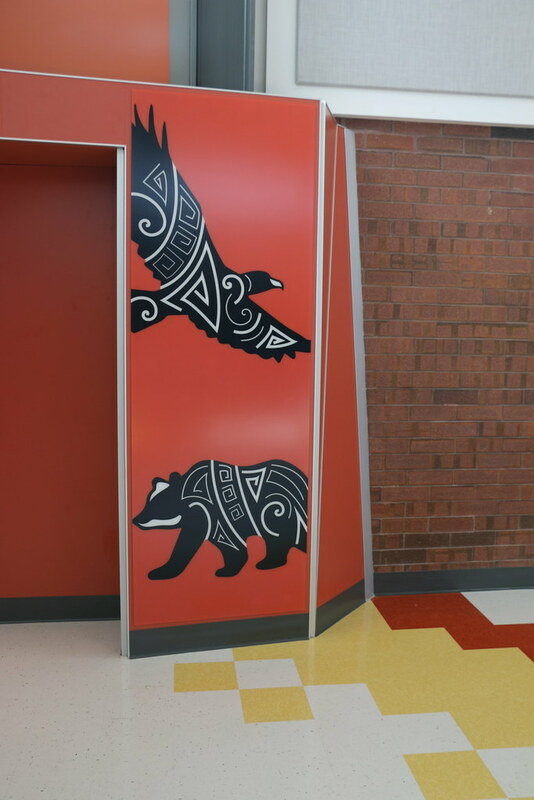 Students who seek to participate in a dual-language immersion program at a school other than the one assigned to them by geographic boundaries should submit an open-enrollment application to the school they wish to attend as soon as possible. 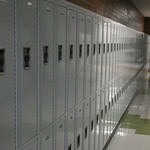 Per state law, the Standard Open Enrollment Application forms will be accepted by Canyons schools until Feb. 19. 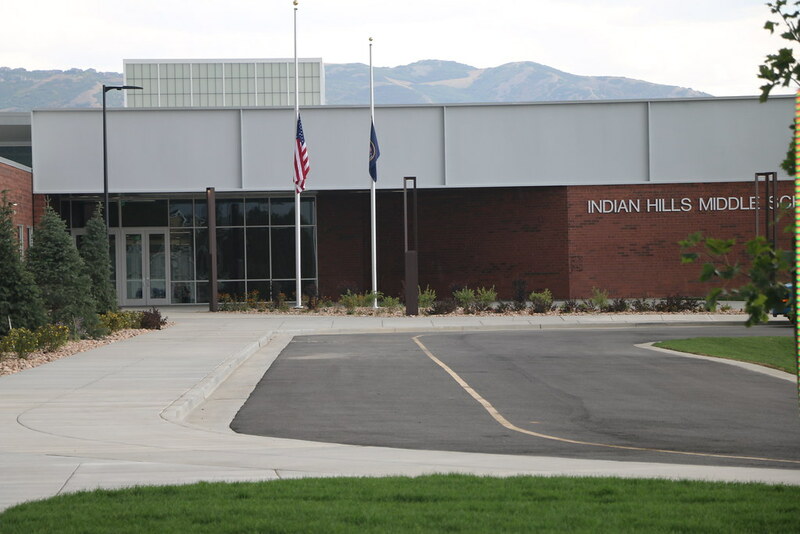 Filling out the permit request does not guarantee placement in the DLI program at that school.